It's an unfortunate reality of our skiing that we lose many of our greatest ambassadors. But skiing never forgets. We celebrate the lives of those who pushed the limits of the sport we love by going out and pushing ourselves, taking an extra lap for them with smiles on our faces. I'm sure almost everyone reading this drops in with a role model, a close friend or a family member in their hearts. And for so many skiers, that is Sarah. 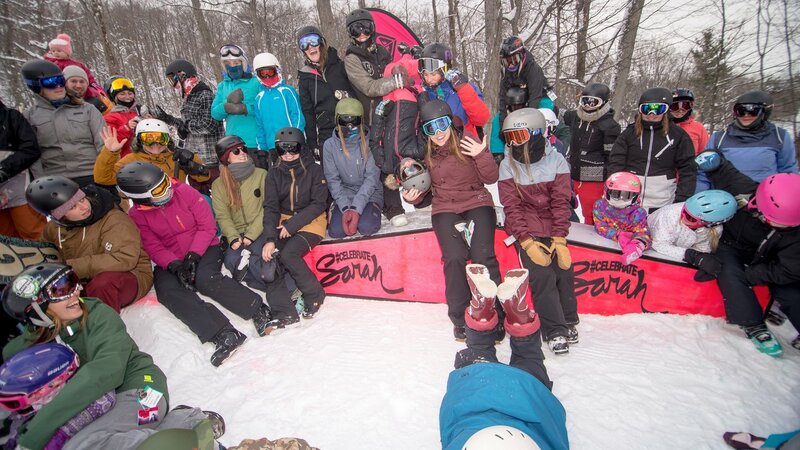 On Saturday February 4th, Horseshoe Resort hosted the 2nd Annual Sending it for Sarah! event. Presented by Sarah's sponsor Roxy, the day is dedicated to honouring the legacy that Sarah left behind, Pushing the Boundaries of Women in Sport. This was the second year for the event, and the participation tripled with 75 ladies aged 6 to 56. Melissa Kurtin, who is instrumental in putting the event together told us, "While the event raised $7,500 for the Sarah Burke Foundation, the donation while extremely important wasn't the most incredible part of the day. Seeing two communities of sport band together and support the cause Sarah was so passionate about, equality for women in action sports was truly inspiring. Being a female in the male dominated industry, these days are so much more than just girls riding together. It shows that the future of our sport is growing, and that it will be there for the next generation of athletes. This event is my baby, and we have no plans of stopping it, only growing it"
The day started off with Yoga let by Roxy Fitness Brand Ambassador, Melissa Tolley. The girls overflowed the room and took over the entire floor while centring their chakras and starting off the day off with positive vibes. The Outlaw Terrain Park at Horseshoe was painted pink and was transformed into a dream park, full of super fun features that helped set the day of progression. The signature #CelebrateSarah A Frame was the show stopper. Every single participant whether beginner to advanced successfully rode that box by end of day. The amount of tricks that were thrown down was incredible, everyone walked away with multiple new skills and tricks. Gord Burke, Sarah's father and Jess Vander Kooij, one of Sarah's best friends came out and spent the day cheering on the girls. Gord referenced the day as being bitter sweet as this is exactly what Sarah had wanted, and kept looking around expecting to see her at the top laughing and dancing along with the rest of the girls. 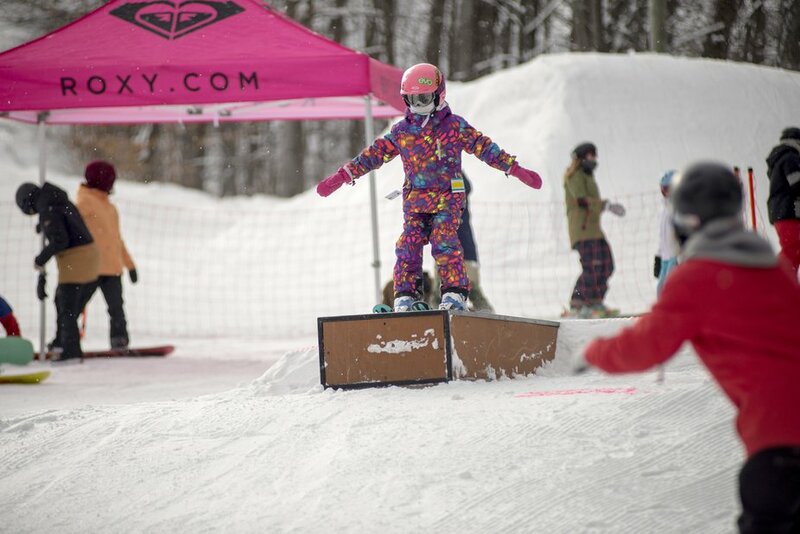 Maddy Gale, a 14 year old snowboarder, walked away with the 2018 Roxy Brand Ambassador role as she truly channeled Sarah's spirit. Not only did she push progression, but spent a good part of the day cheering on and supporting her fellow riders, which truly set her apart from the rest. Anna Arkhipova, 13 year old skier, walked away with a brand new pair of K2 skis as the stand out skier of the day. The donations from the ski and snowboard industry was truly overwhelming and The Crazy Horse Sports Bar and Grill was turned into the hot apres spot with a screening of both Pretty Faces and Full Moon to stoke out the girls and fantastic items up for grabs with a silent auction and raffles. 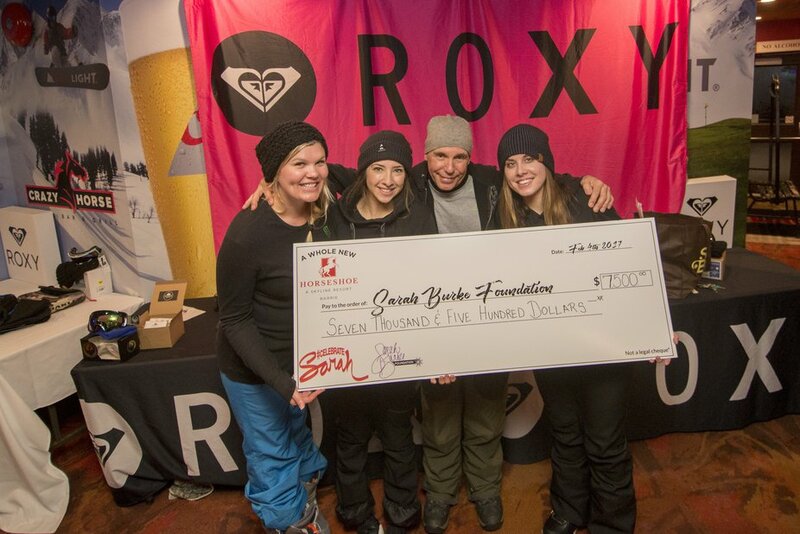 The day concluded with a donation presentation to the Sarah Burke Foundation, represented by Gord and Jess, for $7,500, which is allows the foundation to add an additional Spirit of Sarah Scholarship for this year. 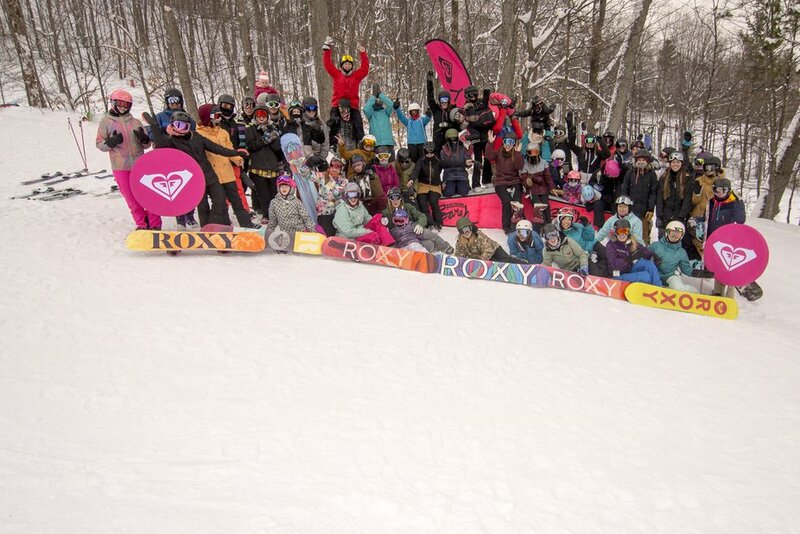 Special thanks to Roxy, Horseshoe Resort, Forecast Ski Magazine, Playtex Sport, Flow Water, Clif Bar, Newschoolers, Ashley Braun, James Frost, Melissa Kurtin, Travis Tedford, Jeff Barrett, all of our coaches, volunteers and industry donations. Sending into our final session of Summer 2018!